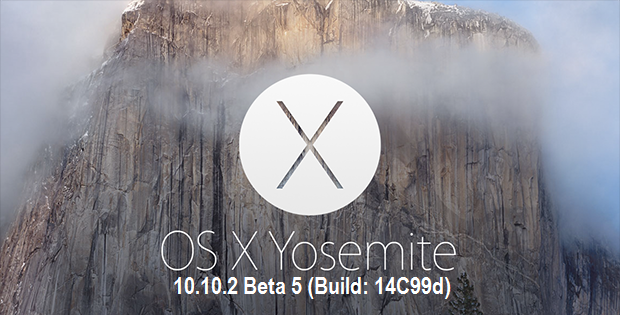 The fifth beta version of OS X Yosemite 10.10.2 i.e. OS X 10.10.2 Beta 5 (Build: 14C99d) and Xcode 6.2 Beta 4 (Build: 6C107a) has been officially seeded and released to Mac OS X developers and non-developers (general public) by Apple for testing and experimenting purpose. 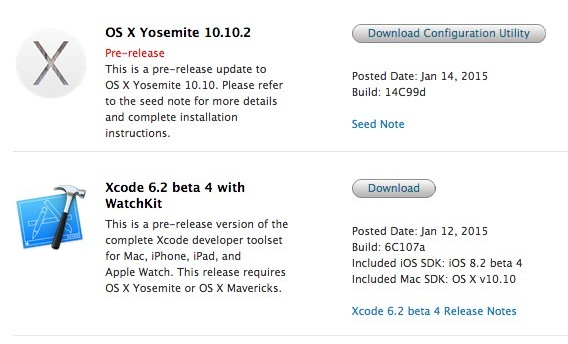 The Direct Download Links of OS X 10.10.2 Beta 5 Yosemite Update .DMG File is available below. The release notes and changelog of OS X Yosemite 10.10.2 Beta 5 (14C99d) holds; improvements for Bluetooth, Mail, Voice Over, Wi-Fi and Bug Fixes. How to Manually Install OS X 10.10.2 Beta 5 Update? All Mac OS X users can get the official OS X Yosemite 10.10.2 Beta 5 (14C99d) Update by simply going to Mac App Store >> Software Update option. If you're Mac OS X developer, then you can visit OS X Dev Center website for latest OS X 10.10.2 Beta 5 Downloads. If you're registered member of OS X Public Beta Seed Program, then visit Apple OS X Beta Seed Program website for beta downloads, and if you're Mac OS X non-developer (general users), then you can download, install and activate OS X 10.10.2 Beta 5 without developer account and without Apple UDID via iTunes for FREE.